Your internet guide to the Canary Island! 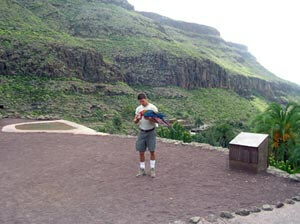 Palmitos Park is one of Gran Canaria's finest attractions. The Palmitos park is perfect for your second day on the island. The first day you have in following the Scandinavian tradition most unlikely become powerful sunburnt. This is a walk in Palmitos Park is a great alternative to the beach. 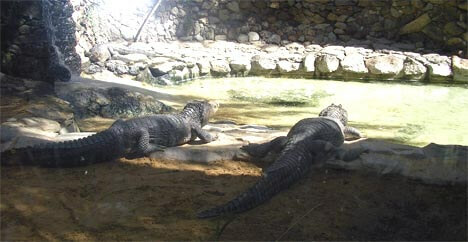 The Palmitos park has the greatest focus on birds but also has wide range of reptiles, fish and plants. The Palmitos park is located a short drive into the country from Playa del Ingles, I will assume 15-minute drive. There are also bus and coach tours organized by travel companies. Taxi can also be an option. I would particularly recommend the show on the park's highest point. There are several daily show with a hawk, eagles, and parrots. The show is well directed. When driving between Arguinenguin and Playa del Ingles, you can not fail to notice the carnival on Maspalomas, especially when it's dark. Ferris Wheel at Tivoli Garden acts as a kind of landmark that makes it easy to locate them. Tivoli, which is of the fixed type (not utbrettbare trailer trailers that we are accustomed to in Norway), gives a good first impression. When you surf around in the Tivoli Garden, one is quickly disappointed, however. There is great lack of the major challenges and it is regarded as much less as seen from the inside in relation to the impression one gets from outside. After half an hour, select like to journey to one of the major shopping malls in Playa del Ingles and Maspalomas.